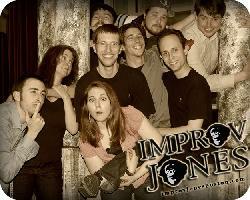 Improv Jones Boston has been performing weekly shows at the Arsenal Center for the Arts since 2005. They perform a family friendly show that will make you laugh...hard. We play improv games similar to those seen on "Whose Line is it anyway? ", many of them being audience interactive. We are available for all sorts of outside events such as corporate parties, birthdays, bar/bat mitzvahs, and library events.